employer, have revealed that they committed the act because of the wickedness of their boss. However, the suspects met their Waterloo on the D-day, as they were arrested immediately they surfaced. 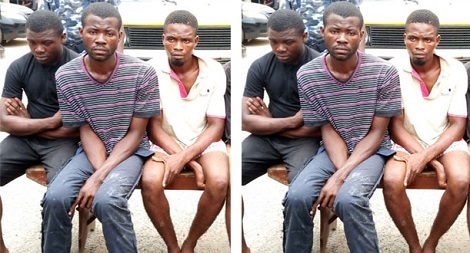 During interrogation, Emmanuel Okemayin said their accomplice, Arowosola Adewale, collected N10,000 from them to enable him hire a native doctor that will protect them after the operation.